Video content is probably the single greatest thing since Google. There, I said it. It’s become very clear in recent years that it is important but did we know it would be THIS important? According to YouTube, they have over one BILLION users, and one BILLION hours of videos are watched on the platform every single day. Those are some bonkers numbers ya’ll! How could you NOT be running out to buy everything on Zach’s killer office studio list, right now? Ok, I’m sure I don’t have to sell you on the importance of video marketing much, but I do want to offer some advice. If you still need to get your video studio supplies and strategy together or even if you already have a few videos under your belt, you need to monitor their performance. You need to know if people are watching and, if they are, if it’s contributing to your bottom line. This all comes down to metrics so, in this article, we are going to talk about what metrics you should look at and what exactly they mean. First Things, First: Set Goals! This may sound redundant if you are already investing in inbound marketing, but your goals are critical. The backbone of all that we do, goals tell us what we're working towards and help us evaluate how good of a job we're doing. Charting your goals and milestones is best done through metrics, but video marketing metrics are a lot like those of websites -- There’s a lot to measure, but that doesn’t mean they’re all valuable or speak to your specific goals. For instance, let's say you're trying to grow revenue from your website. You see your website traffic could be doing GREAT and don't understand why your revenue isn't growing. Traffic isn't the right metric to be measuring your success by -- conversion rate is. Videos are the same way. If you're trying to generate leads from your videos, but only track the number of views, you'll never be able to know if your video is actually working towards your lead generation goal. If people aren’t converting it isn’t what your buyer personas want to see, or if the wrong people are viewing your videos, the views don’t carry much clout. You need to focus on the right metrics that are actually pertinent to what you’re trying to achieve. Measuring these metrics and understanding how they relate to your goals is a crucial piece of the jigsaw puzzle of video marketing and I’m here to help! I am going to discuss which video metrics are relevant to common marketing goals and a little about what each of them. So, awareness. This goal is all about getting knowledge of your brand out there to your target audience. The metrics below relate directly to this; identifying how many people are actually being exposed to your video and in turn your brand. View count is just that; it’s the number of times your video has been “watched” by an individual. A view is counted as 30 seconds on YouTube, 3 seconds on Facebook, and 3 seconds on Instagram. This is a very deceptive metric as you can see by the wide range of what counts as a view. I mean, it’s possible to watch a video on Facebook or Instagram accidentally for 3 seconds. This tricky metric can be great if you have a viral video that you want the world to see without an end goal, but if you are a company trying to reach a specific audience, not so much. Treating “view” count more like what typically would be considered reach would be is a good rule of thumb. If you are like most, you have videos embedded on your website. Play rate is how many times a user clicks the play button on these videos (though this is anywhere, not just on your website). It is an excellent barometer for how well videos are placed on your website. Facebook doesn’t have an embed option, but you can still see this metric as “Clicked-to-Play” in your video insights breakdown. This is important for Facebook due to the fact that many have autoplay turned off. Replays are an even bigger deal than Play Rate. It’s just what it sounds like; the viewer liked your video SO MUCH that they had to watch it again. This could be a great compliment and testament to content, or it could also indicate that people didn’t understand the message in the first watch. Be wary of taking this metric to heart! The ultimate compliment, the share! The viewer liked this video so much that they wanted other people to see it. The more your videos are shared, the more people see them, and the larger your reach. If your videos aren’t getting shares, it never hurts to ask in the video. Just invite the viewer to share with someone whom they think would enjoy it too. Impressions are a great way of seeing how many eyeballs are actually on your content. For clarification, impressions are the number of times your content is displayed, whether it was clicked or not, and is used on Facebook and most paid platforms. Impressions also counts each time a person sees your content. If your video doesn’t have many impressions, it's a good indicator that something is likely off about how you're trying to reach your audience (i.e. posted in the wrong location). If they never see video then there’s no way for them to watch it, after all. If you have a ton of impressions, but very few views, that may mean your subject matter isn't a right match for the audience it is getting in front of. This one is going to be a quick overview because most of us are very familiar with how engagement metrics typically work and they are typically the same for most major social platforms. Engagement is about taking someone from a passive viewer to an active one. It shows that your content struck enough of a chord to spur an action/reaction. They're interacting with your content and communicating with your brand, not just ignoring it. If viewers thought this was a great video, they will “like” it. This is usually an indication of agreement that the video content is on par with what the viewer would like to see. This is an option on YouTube (and now Facebook). It can indicate that either you disagree with the subject matter, or you generally didn’t like the content. Because of this ambiguity, this is another metric that would require further investigation. Comments require more effort and therefore can give you more in-depth insight into viewers sentiments, both good and bad, towards the video. They can offer valuable feedback on the content you created and give you an opportunity to engage in conversation with your viewers. Even better, it allows viewers to engage with each other building a sense of community around your brand. Now, this is where you want to spend a little more time analyzing. There is no denying that seeing a high view count or reach feels great. So many people are watching your video, and you get excited. However, this is a vanity metric. If you want to see if your video is actually resonating with your audience, then a great place to start is watch time, or the time spent watching your video. YouTube calls this metric, “estimated total minutes spent viewing your content,” while Facebook calls it “Minutes Watched,” and others say “duration watched” but they are all the same thing. If your video is 10 minutes long and viewers are only watching for 1 minute, this is a good sign that your video content isn’t engaging with your audience and in turn, likely isn’t speaking to the right audience. On the other hand, if people are watching all the way through; you may have just hit the mark! If your goal is conversion, always include a type of call-to-action at the end of your videos. Direct viewers to different parts of your landing pages to take the next steps. While the first metric you thought about when I said Video Marketing Metrics probably wasn’t click-through rate or Conversions, they are one of the most important when it comes to the success of your work. Just like with websites click-through rate and conversions will measure just how many viewers were engaged enough to be interested in what you are trying to get them to do. To be clear, CTR is the number of viewers who click on the CTA that you have at the end of your video or follow through to the designated next step. While you can see how long the viewer watched in the Watch Time metrics of your videos, the best indication of if your audience is watching, and that if your video content is effective all the way to the end, is if your CTA is clicked. And to do even better than that -- If they convert on your website and do the action the CTA was requesting then you have hit a Grand Slam! So, you’ve made a ton of videos. You have them on all your social platforms; You’re getting likes, comments, and shares. Your play rate is awesome; your watch time is through the roof! But is it as you predicted? Are they coming from the locations you thought they would? OR were you all wrong? The metrics below, though qualitative, offer valuable insight into your strategy and how to improve it. This one may seem like a no-brainer, but traffic sources within the platform can be a game changer. If you are getting a lot of good quality traffic from YouTube, maybe you should do some research to optimize your visibility. If you get more traction on videos that are in a playlist, then create several more and see if you can replicate the success. This will also give you insight into where those who are enjoying your content live, and how they consume media. Using this to your advantage you can plot your next campaign with this in mind. Then comes the questions, are you reaching them on the right platform? If you see in your metrics that you’re getting the most traffic and views from YouTube but focusing on Facebook, this is a good sign that you should pivot your efforts to focus on YouTube. Analyzing who is watching your videos is no different than who is visiting your website. It’s THE most important part of the puzzle. If you look at who your viewers are you can see if you are hitting your targeted personas. Are they coming from the sources you thought they would? Are you hitting the right age group, industry, or interests? If you aren’t, then figuring how to direct your videos to those who are should be your first order of business. Video content isn’t going anywhere anytime soon. 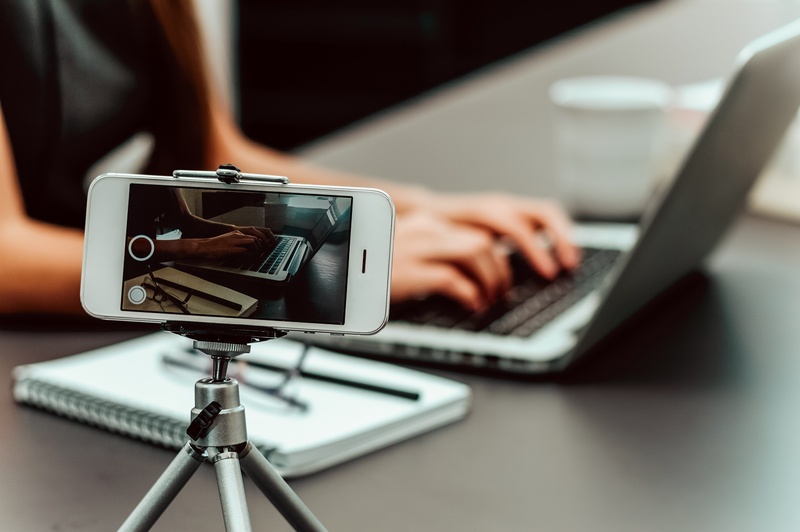 Learning how to use these key metrics to your advantage will set you on a path to having highly successful video marketing campaigns. Creating great video content isn’t about being the next YouTube star! As a marketer for a business, you need to ensure the goals you set are being achieved. Just deliver great content to your targeted audience, engage them, push them down the sales funnel, and you’re golden! Now get out there and start making some great marketing videos!